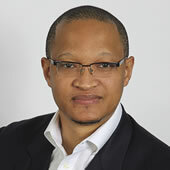 Morena joined Biovac in 2004 and holds the role of Chief Executive Officer. He is a member of the Board and the Biovac Executive team. Establishing strong links and partnerships with public-sector stakeholders as well as industry partners. To ensure sound corporate governance as a responsible corporate citizen. To spearhead the implementation of state of the art manufacturing facilities that are supported and guided by sound quality assurance, human capital expertise, regulatory licencing, business/product development and prudent financial management. Strategic participation within the local and global vaccine landscape. Morena is a medical graduate from the University of Cape Town (UCT) in South Africa and has participated in numerous executive courses including the Stanford Executive Program for Growing Companies (EPGC). Prior to his CEO role at Biovac he held the role of Deputy CEO and prior to that of Medical Affairs Director for Biovac and Litha Healthcare Group. He serves on a number of committees within the vaccine industry and serves as a board member of other healthcare and non-healthcare companies.